SAN JUAN, Puerto Rico – One man climbs 24 flights of stairs several times a day alongside dormant elevators. Street vendors hawk plastic washboards for $20. And families outstretch their hands as crews in helicopters drop supplies in communities that remain isolated. “I’ve never seen anything like this,” retired schoolteacher Santa Rosario said as she scanned empty shelves at a supermarket in the capital of San Juan that had run out of water jugs – again. Maria caused as much as an estimated $85 billion in damage across an island already mired in an 11-year recession. That has complicated and delayed efforts to restructure a portion of a $74 billion public debt load that officials say is unpayable. And it has thrust Puerto Rico’s territorial status into the international spotlight, reviving a sharp debate about its political future as the island of 3.4 million people attempts to recover from flooding, landslides and power and water outages. 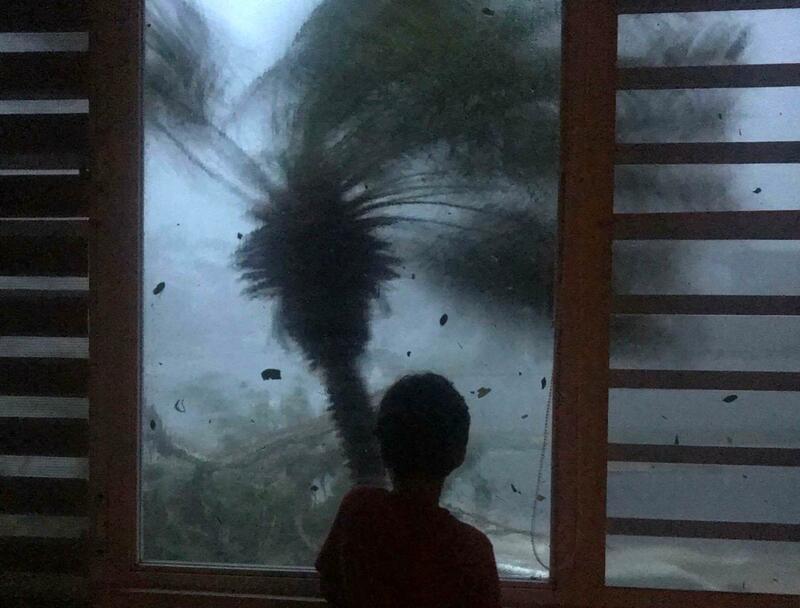 Near where he stood, massive tree trunks, pieces of zinc roofs and soggy items including mattresses still lined the street – a scene common across the island. Less than half of Puerto Rico’s cellphone towers are operating, and only 64 percent of bank branches have reopened, some of them with dead outdoor ATMs whose empty screens prompt a roll of eyes from people seeking to withdraw money. The U.S. Federal Emergency Management Agency also has pledged more than $171 million to help restore power across the island, and it has distributed more than $5 million to municipalities in need, as well as $ 1 million to Puerto Rico’s National Guard. Many use social media to post endless questions on post-hurricane help: where to find fans with batteries (nowhere so far); where to find affordable baby sitters as some parents return to work while schools remain closed (many suggested finding unemployed friends); what’s the best way to wash clothes by hand (a majority of votes went to someone who suggested placing them in a big garbage bag with water and soap and shaking it vigorously). Published: Oct. 19, 2017, 10:36 a.m.